Viktor Koska is a teaching and research assistant and a PhD student at the Faculty of Political Science, University of Zagreb where he conducts research on the role of ethnicity, policy measures and institutional provisions for the sucessful host countries integration of former refugees in the area of ex-Yugoslavia. Viktor completed his MSc degree in Froced Migration as an OSI/FCO/Chevening scholar at Refugee Studies Center, University of Oxford. Hegraduate with a thesis „Reality of Return and Reintegration of Minority Refugees: Serbian Returnees in Croatia“. As a part of his postgraduate studies, Viktor conducted an extensive field research on the minority refugees issues in Croatia. He published several articles on contemprorary Croatian politics, with a focus on refugee, minority and citizenship policies. 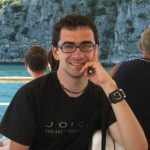 He is involved in the acitivities of the CITSEE project at the University of Edinburgh.